Based on the research of Sripad K. Devalkar, Milind G. Sohoni and Priyank Arora. Non-profit organisations (NPOs) typically raise all the funds required for the project upfront. In this so-called “traditional approach”, the implementation of the project begins only when all the funds are raised, thus delaying implementation and service delivery. In order to overcome this challenge, NPOs are using a novel funding approach that Professors Sripad Devalkar, Milind Sohoni and Arora call “ex post funding”. The researchers offer guidance on how non-profit organizations can best deploy this new approach to improve the delivery of social benefits from their activities. United Care Development Services (UCDS) is a Hyderabad-based non-profit organisation (NPO) that was established in the year 2009. It works in the areas of education, health and environment. When UCDS decides to undertake a new project, say setting up a school in rural Telangana, it needs to raise funds. Like most NPOs, UCDS could use what we may call a “traditional” fund-raising approach in which case all the funds required for the school are raised upfront. But this common approach poses a problem — the school’s functioning is delayed until all the funds are raised, depriving the target population, in this case the village children, of an education in the interim. The traditional fund-raising approach involves another, more subtle limitation – it relies entirely on donors’ goodwill to get the project off the ground. At the time of donation, such “traditional donors” have no information about UCDS’ operational efficiency or the schooling benefits being delivered. However, not all donors are quite so trusting. Many small donors may be sceptics who hesitate to donate without evidence of UCDS’ ability to successfully set up and efficiently run the school. To overcome these problems associated with traditional funding, some NPOs like UCDS have been trying a novel fund-raising approach. Sripad Devalkar, Assistant Professor, and Milind Sohoni, Professor of Operations Management at the Indian School of Business and Priyank Arora, a doctoral student at Georgia Institute of Technology have coined a new term for this approach – “ex post funding”. Devalkar, Sohoni and Arora, explain that with ex post funding, the NPO uses its initial funds to implement early phases of the project, even if it lacks the funds to meet the total cost of the project. Thus, unlike the traditional model, the ex post model allows the NPO to begin the delivery of the social service without having to wait for all the funds to be raised. Once the initial phase of the project is complete, donors can be invited to donate for the subsequent phases of the project on the basis of the demonstrated social benefits that derive from the completed phases. In this way, data on expenditures incurred and results already achieved can help donors judge whether the NPO can deliver the service in a cost-effective manner. The ex post approach offers several advantages over the traditional approach. Most important, it allows the NPO to tap a funding stream that previously remained unavailable – money from the sceptical “ex post donors” who want to see concrete evidence of the NPO’s ability to deliver before they will donate. According to the researchers, this new source of funding represents the single most valuable gain from the ex post funding approach. Further, if ex post funding is combined with project implementation in phases, it lets the NPO raise donations in smaller amounts over multiple rounds of fund-raising. Thus the NPO can also benefit from repeat donations, further enhancing the pool of potential funds. From the point of view of the donors, meanwhile, the ex post approach also offers greater transparency in the NPO’s operations. NPO’s transparency in financial and operational matters helps in securing donor trust and providing reliable information on the efficiency and effectiveness of the NPO in delivering sustainable and meaningful social services. The researchers, however, caution against treating the ex post approach as a panacea for the funding challenges faced by NPOs. For one, the ex post model exposes NPOs to greater risk compared to the traditional model. Having used their limited initial funds to implement the initial stage of the project, NPOs may or may not be able to raise funds from donors for the completion of the project. Ideally, in the ex post approach, an NPO could choose to first raise all the fixed costs and a part of the implementation costs upfront. This way, the NPO’s dependence on donors in the later implementation phases is reduced. The funds for implementation costs raised upfront could then serve as a buffer against uncertainty in the event that the NPO is not able to raise the requisite funds subsequently. However, the buffer also implies a trade-off: raising part of the implementation costs in addition to the fixed costs upfront will mean delay of service delivery. In deciding the quantum of the buffer funds, the NPO must thus balance two opposing considerations. On the one hand, if the buffer is too small, it risks not being able to raise implementation funds after the fixed costs have been met and on the other hand, if the buffer is too large, the delivery of the service it seeks to provide can get delayed. This dilemma lies at the heart of Devalkar, Sohoni and Arora’s research questions: How much of a buffer should the NPO raise before starting the implementation stage of the project? What factors determine this buffer? First and foremost, using numerical simulations, the researchers demonstrate a crucial result: the ex-post approach almost always outperforms the traditional approach in terms of the social benefit delivered. But the question remains – how can an NPO determine the optimal buffer, one that will reduce risk while optimizing the social benefit? The researchers find that project, NPO and donor characteristics play an important role in determining the optimal size of the buffer funds to raise initially. Key project characteristics include first, the fixed costs involved, for example, a school project which can simply be run from a rented building involves much smaller fixed costs than one for which the building must first be constructed. Second, the number of project phases and the associated implementation costs matter, for example in extending piped water access in a slum. Third, the time sensitivity of benefits delivered from the project must be taken into account. For example, it is more beneficial to undertake an awareness campaign for water-borne diseases before the rainy season, compared to doing it afterwards. The initial funds available with the NPO, before any donations are received, also affect the buffer fund requirement. The smaller these funds, the more the NPO may have to rely on a buffer. In general, the researchers are able to show that the NPO should use most of its available limited funds towards meeting the fixed costs while allocating a small portion to the implementation phase. Additionally, donor characteristics also play a role in determining the appropriate buffer size, particularly the relative numbers of traditional donors, and the probability that the NPO will be able to raise funds from the two types of donors at various phases of the project. How can NPOs devise the right fund-raising strategy, using the insights from this research? Most important, sequence the fund-raising methods appropriately. During the fixed cost stage, an NPO can raise funds only from traditional donors. During the implementation stage, it can branch out to ex post donors in addition to the traditional donors. This way, it can ensure not only that the fixed costs are met, but also that there is funding from a larger pool of donors for the completion of the project. The ex post model is a novel approach that helps NPOs address some of the challenges associated with traditional fund-raising. More important, ex post funding helps NPOs tap sceptical donors who are generally not a part of the traditional donor base, while actively engaging traditional donors at various stages — thus, augmenting the NPO’s donor base. Although similar payments for results models have been widely used by large institutional donors, as well as by multilateral and governmental agencies, Devalkar, Sohoni and Arora’s work shows NPOs how to use ex post funding with small donors, who donate tiny fractions of the total project cost. This approach can serve as a new tool in the fund-raising toolkit of NPOs such as UCDS that work across diverse sectors. 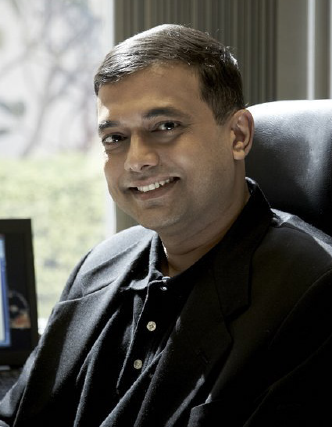 Sripad K. Devalkar is Assistant Professor of Operations Management at the Indian School of Business. Milind G. Sohoni is Professor of Operations Management and Deputy Dean, Faculty Development and Registrar’s Office at the Indian School of Business. 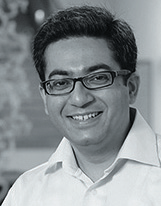 Priyank Arora is a Doctoral Candidate at Georgia Institute of Technology, Atlanta. Devalkar, S. K., Sohoni, M. G., & Arora, P. (2017). Ex‐Post Funding: How Should a Resource‐Constrained Non‐Profit Organization Allocate Its Funds? Production and Operations Management, 26(6), 1035-1055. Catherine Xavier is a writer with the Centre for Learning and Management Practice at the Indian School of Business.